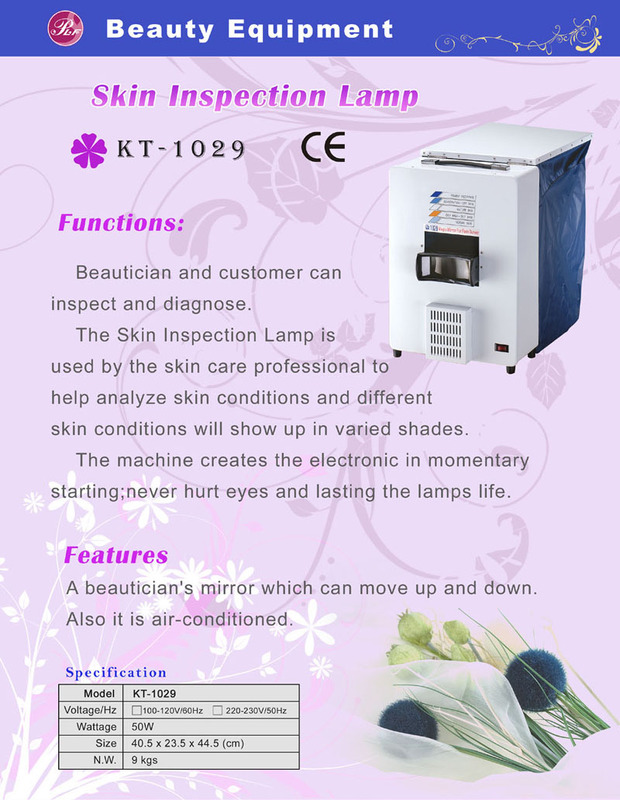 Taiwan Beauty Equipment (KT-1029)Skin Inspection Lamp, Skin Inspection Lamp, Beauty Equipments - Palifull Co., Ltd.
Beautician and customer can inspect and diagnose. skin conditions will show up in varied shades. starting;never hurt eyes and lasting the lamps life. A beautician's mirror which can move up and down.